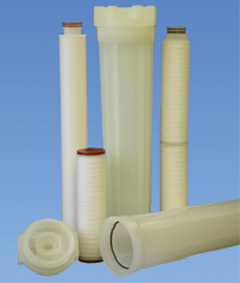 length cartridge filter housings are available in 100% Natural Polypropylene. For the most stringent applications his series offers you the best alternative to Stainless steel vessels in the market. Available in either DOE or 222 configurations the VPH Series offers an ultra smooth contact surface for the most sensitive fluids. Shelco ’s VPH Series is the perfect choice when purity and economy are essential.